The Best Lego blogs from thousands of top Lego blogs in our index using search and social metrics. Data will be refreshed once a week. Also check out Lego Podcasts and Lego Youtube Channels list for Top videos on Lego. 2.25 Reviews of LEGO sets. 2.34 Brick Brains | We've got LEGO on the brain too! Lego newsletter is a comprehensive summary of the day's most important blog posts and news articles from the best Lego websites on the web, and delivered to your email inbox each morning. To subscribe, simply provide us with your email address. About Blog The home of the official LEGO® channel, they inspire and develop the builders of tomorrow, so come and join them and watch your favorite Minifigure characters from LEGO Elves, The LEGO Movie, LEGO CITY, LEGO Star Wars™, LEGO Ninjago, LEGO Bionicle and more come to life, in exclusive webisodes and stop motion videos! Facebook fans 12,783,549. Twitter followers 513,320. Seattle, WA USA About Blog The Brothers Brick is a LEGO website for adult builders and fans of LEGO. They highlight the best LEGO creations of every type from builders around the world, including ever-popular LEGO Star Wars, steampunk, and mecha creations. You can also find the latest LEGO news, opinions, and LEGO set reviews right here on The Brothers Brick. Facebook fans 191,031. Twitter followers 11,940. Hampshire, UK About Blog Brickset is the best online guide to LEGO sets old and new. It is the best LEGO database on the web, and to keep it updated with news, set information, photos and so on. Facebook fans 29,963. Twitter followers 28,069. About Blog The Brick Show is a popular web show covering the latest LEGO news, product reviews, happenings and more. They covers everything in the world of LEGO. Facebook fans 84,184. Twitter followers 10,949. San Diego, CA About Blog A LEGO blog dedicated to reporting the latest LEGO news and information. They also have in-depth reviews and discussions on various LEGO sets. Facebook fans 11,910. Twitter followers 6,805. Ottawa, Canada About Blog Jason Allemann design and build custom models using LEGO bricks. From basic brick sculptures to complex robots I enjoy many styles of building. This website showcases many of the models we have designed and built. Facebook fans 10,632. Twitter followers 2,344. USA About Blog A blog about Tips & Tricks about building with LEGO Bricks. Facebook fans 2,101. Twitter followers 13,928. Melbourne About Blog Jay’s Brick Blog is a LEGO blog with a distinctive Aussie flavour that primarily focuses on high quality editorial content and perspectives of LEGO. This blog is all about celebrating the love of LEGO, sharing exciting news and being a hub for LEGO fans to connect with one another. I have an extensive collection of LEGO Set Reviews that’s curated in the Review Hub. Facebook fans 1,490. Twitter followers 874. Delaware, USA About Blog BrickWarriors is a small business that designs and produces LEGO® compatible accessories and minifigures. All of the products are manufactured with the highest tolerances and are designed to perfectly fit your minifigures. Facebook fans 44,896. Twitter followers 3,347. San Francisco, CA About Blog Reports, news, pics, videos, discussions and documentation from a studded world. Facebook fans 1,083,741. Twitter followers 467,710. United Kingdom About Blog Building your world of LEGO. News, reviews and builds. Facebook fans 3,606. Twitter followers 15,860. About Blog LEGO set reviews, custom MOC work & more! City, Star Wars, Bionicle, trains, and other themes! Facebook fans 42,178. Twitter followers 5,064. About Blog The Lego Car Blog was founded in late 2011 to cater for the growing vehicle-building portion of the online Lego community. Their articles range from publicising builders’ creations to Lego news, set reviews and builder interviews. About Blog The latest prices for Lego and Mega Bloks Minifigures. Facebook fans 20,028. Twitter followers n/a. London UK About Blog A blog about new LEGO parts with set reviews, building techniques and brick model ideas. You'll find posts about new pieces, new or returning colours, LEGO history. Facebook fans 3,616. Twitter followers 1,940. France About Blog All the news about LEGO products, news, contests, reviews, shopping tips. Facebook fans 15,837. Twitter followers n/a. France About Blog The LEGO blog with news, reviews of new sets, the most beautiful MOCs and good plans. Facebook fans 1,739. Twitter followers 195. About Blog LEGO® SERIOUS PLAY® is a radical, innovative, experiential process designed to enhance business performance. It is based on the belief that everyone can contribute to the discussion, the decisions and the outcome. The use of LEGO bricks simply enables you to take a speedy shortcut to the core. Facebook fans 742. Twitter followers 1000. About Blog BrickNerd, is a place for LEGO art, artists and all things LEGO. The work featured on this site represents the best of the best, from innovative building techniques and clever design to inspired creations and fantastic photography. Facebook fans 4,111. Twitter followers 2,223. Australia About Blog Ryan McNaught is a LEGO certified Professional, one of only 14 in the world and the only one in the Southern Hemisphere. The Brickman is a team of skilled LEGO artists and craftspeople. Ryan and his team have built some of the worlds most detailed and large LEGO models, and even have the honour of being responsible for building models for LEGO offices around the globe. Facebook fans 23,377. Twitter followers 256. About Blog A hollow head struggling to make it through a blocky world. Facebook fans 31,589. Twitter followers 13,005. Minneapolis, MN USA About Blog Brickmania makes unofficial custom model building kits using LEGO® brand bricks and parts. They also an official international BrickArms reseller and stock a wide variety of building supplies and products for enthusiasts of all ages. Facebook fans 183,149. Twitter followers 6,191. Maastricht About Blog Home of the Foolish Lego Comic and Lego Toy Photography. Also, a knowledge base containing, amongst others, articles on creating your own brick comic and behind the scenes posts. Facebook fans n/a. Twitter followers 2,215. About Blog Brick Hello is a place where you find unique LEGO content that you’ll be hard pressed to find elsewhere. We want to bring you something different to keep you entertained, beyond the bricks in particular and peripheral topics that are interesting, and from time to time, inject some humour into everything! Facebook fans 303. Twitter followers 20. 25. Reviews of LEGO sets. About Blog Post on Reviews of lego Sets. Facebook fans 1,305. Twitter followers n/a. About Blog Building a brighter tomorrow with LEGO® bricks. This blog is all about Lego structure, building lego, new ideas and news about lego. Facebook fans 158. Twitter followers n/a. About Blog Russell started up this blogging website to help me cope with my obsession with all things Lego. The intention of this blog is to review, talk and add humor where possible to anything Lego. Facebook fans 8,639. Twitter followers n/a. About Blog We are the Ninja Brick team and we are passionate about LEGO. Our independent website has been created as a hub for LEGO fans around the globe who want to catch up on all the latest news and announcements. Facebook fans 123. Twitter followers 359. About Blog The Brick Math Series was developed by Dr. Shirley Disseler to help students learn math by using LEGO® bricks. Shirley is the foremost expert in the US on teaching math using LEGO® bricks. They help students learn basic math subjects through a guided program for teachers using LEGO® bricks as the hands-on material. Facebook fans 206. Twitter followers n/a. Georgia, USA About Blog The Family Brick is a family-friendly LEGO blog, sharing what we do with our LEGO stash, showcasing LEGO builds and providing helpful LEGO-related information and news. Facebook fans 80. Twitter followers 295. Facebook fans 120. Twitter followers 2,478. About Blog A LEGO blog for LEGO fans. It has all the lego model inspirations you can take from. Facebook fans 763. Twitter followers 8. About Blog Reviews of bootleg Lego, fake Lego, lego clones and non Lego brands of Building Blocks, such as Enlighten, Sluban, Sheng Yuan, Decool and many more. Facebook fans 658. Twitter followers n/a. 34. Brick Brains | We've got LEGO on the brain too! Vancouver, British Columbia About Blog A small but dedicated band of LEGO enthusiasts, we report on LEGO news, events, ways for you to have more LEGO fun. Join us as we continue our journey with LEGO. Building a community of dedicated LEGO fans by sharing news, MOCs and other items of interest to LEGO builders everywhere. Facebook fans 378. Twitter followers 760. United Kingdom About Blog A blog by Dr Dave Watford about LEGO-related reviews, comment and musings. Facebook fans 692. Twitter followers 529. About Blog Home to various things like the web comic Farquar, Lego News, Art updates, and Various doodads. Some pretty interesting stuff. UK About Blog An AFOL (Adult Fan of LEGO) based in the UK, he build for displaying at LEGO exhibitions and shows, and have had the pleasure of displaying at large LEGO fan events as well as at events including those organised by the National Railway Museum. LEGO modelling commissions, inspiration and ideas for AFOLs from LEGO addict Richard Carter. Facebook fans 24. Twitter followers 1,204. About Blog Friends Bricks is a community of LEGO fans who build with bricks from LEGO Friends sets, My Own Creations & modular structures. Facebook fans 717. Twitter followers 447. Facebook fans 17,236. Twitter followers 4,752. België About Blog Lili's brick originated from love for LEGO® Star Wars By looking for new and used sets for our own collection, we also saw a lot of and many too many other LEGO® sets, which makes us business on our website a category LEGO®. Facebook fans 798. Twitter followers 124. Facebook fans 795. Twitter followers 104. About Blog It is your daily source for Lego goodness. San Diego, CA About Blog Lego Legopedia Blog has all sorts of information on Lego world like various Lego images, news and resources. Facebook fans 1. Twitter followers 33. Minnesota, USA About Blog I created this blog for one reason. I want to track my progress as I begin building with Lego, in an attempt to become a master builder with these Lego pieces. Facebook fans n/a. Twitter followers 3. Mountain View, CA About Blog Comprehensive up-to-date coverage for lego, aggregated from news sources all over the world by Google News. Facebook fans n/a. Twitter followers 212,833. About Blog Let’s just make things super queer with Lego bricks. Pairings currently include: Supercat, Supercorp, Sanvers, Swan Queen, Hollistein, Wayhaught, and whatever comes next. But know that whenever two female characters look at each other, we’re thinking about how to build it in bricks to make it extra gay. Facebook fans n/a. Twitter followers 67. About Blog A blog about custom masks for lego. Indianapolis, USA About Blog Beyond the Brick spotlighst the world's top LEGO builders and their creations. Follow this channel for new videos every day. Facebook fans 14,809. Twitter followers 4,283. About Blog The blog about the little plastic bricks that we all use to love every now and then. Lego news and reviews of sets such as Lego Harry Potter, Lego Star Wars, Lego Ninjago, Lego minifigures, and many more. I hope you enjoy my blog. About Blog ArtiFex Creation channel is family-friendly fun for everyone! They're all about LEGO Build Reviews, Custom Lego Creations & Lego Brick Films. Facebook fans 1,425. Twitter followers 763. About Blog Brick Vault is dedicated to bringing you the best in Lego set unboxing, building and reviews. Created by a group of passionate Lego enthusiasts Brick Vault hopes to inspire and share our passion for Lego with the world. Facebook fans 921. Twitter followers 944. Chicago, IL About Blog BRICK 101 is owned and operated by Dave Pickett. Dave is a life-long LEGO fan and pop culture enthusiast. When he's not building with LEGO bricks, Dave enjoys playing video games, reading comic books, watching nerdy TV shows, playing board games, and exploring Chicago. Facebook fans 1,085. Twitter followers 1,609. About Blog The Lego world is a constant creative inspiration to everyone. It's Lego that allows us to innovate, create, and inspire. It is my mission to let people of all ages know what they are investing in before they choose to invest in the most popular brick in the world. Facebook fans 125. Twitter followers n/a. About Blog A blog on lego characters and lego superhero miniatures . Facebook fans n/a. Twitter followers 32,412. About Blog Misty Brick is a channel about Lego ideas, techniques and how to make lego structures. It gives a glimpse about lego structures and miniature making. Queens, New York About Blog Custom LEGO® art, vignettes, dioramas, and minifigs made by “Baron” Julius von Brunk: a tattooed and quirky professional graphic multimedia artist in New York City! No reblogged material here, unless specified: all posts are native content of Julius von Brunk, unless specified. Facebook fans 2,110. Twitter followers 984. San Francisco About Blog LEGO creations by Jamison Wieser. Facebook fans n/a. Twitter followers 445. Ireland About Blog A blog with reviews of Lego sets old & new, Lego builds and creations, and everything else in my Lego world. Wilson, NC About Blog Brick Scholars is a mobile STEAM (Science, Technology, Engineering, Arts, Math) lab providing educational, creative, and innovative learning opportunities for children to brick and learn. ​Brick Scholars’ STEAM focused curriculum provides engaging, creative and fun educational programs and professional development using LEGO® Education products. Facebook fans 179. Twitter followers 23. About Blog Construct-a-Venture is a blog about exploration in story telling using building blocks. Facebook fans 135. Twitter followers 10. About Blog Summerfield's Toys offers hard to find and unique combinations of toys, not typically found in traditional retail stores. Facebook fans 25. Twitter followers n/a. About Blog Lego Girl publishes various posts about her big passion which is LEGO. She also writes reviews about different LEGO sets, minifigures, books and many more LEGO related things. She also shares her analysis about different LEGO sets which are, or will be, a worthy investment and will increase in their value. Facebook fans 143. Twitter followers n/a. About Blog Disney LEGO Blog is a fan based website here to provide the latest news on anything related to Disney LEGO! About Blog DigiBrickz is a LEGO blog for Digital or Virtual form (LDD, LDraw, Mecabricks, Render, etc.). In here, you can also find creations, tips, and articles of LEGO in Digital. Facebook fans 15. Twitter followers n/a. About Blog BricksEasy is a Lego Sets Guide, Lego Blog & Lego Reviews Written by a Young Lego Enthusiast. Follow this blog as new reviews are added regularly. Facebook fans 1. Twitter followers 1. About Blog A blog on collection og lego sets and If it’s LEGO, we like it! Facebook fans n/a. Twitter followers 3,556. About Blog A blog dedicated to LEGO, written from a teen's perspective. I post my own set reviews and custom builds. Facebook fans n/a. Twitter followers 49. About - Keep up to date with all thats new in the world of LEGO. Featuring the latest news, blogs, reviews and creations from like-minded brick builders. About - Brickset.com was launched in 1997 to keep track of the many promotional sets that were appearing at that time. Since then it has expanded considerably and is now the primary reference on LEGO sets on the internet. About - Brick Fanatics is the website dedicated to all things LEGO, bringing you the latest news and reviews, as well as the best features and builds from the LEGO community. Brick Fanatics was formed by Richard Hayes in 2010 and is today owned and managed by Tiro Media Ltd.
About - A blog about new LEGO parts with set reviews, building techniques and brick model ideas. 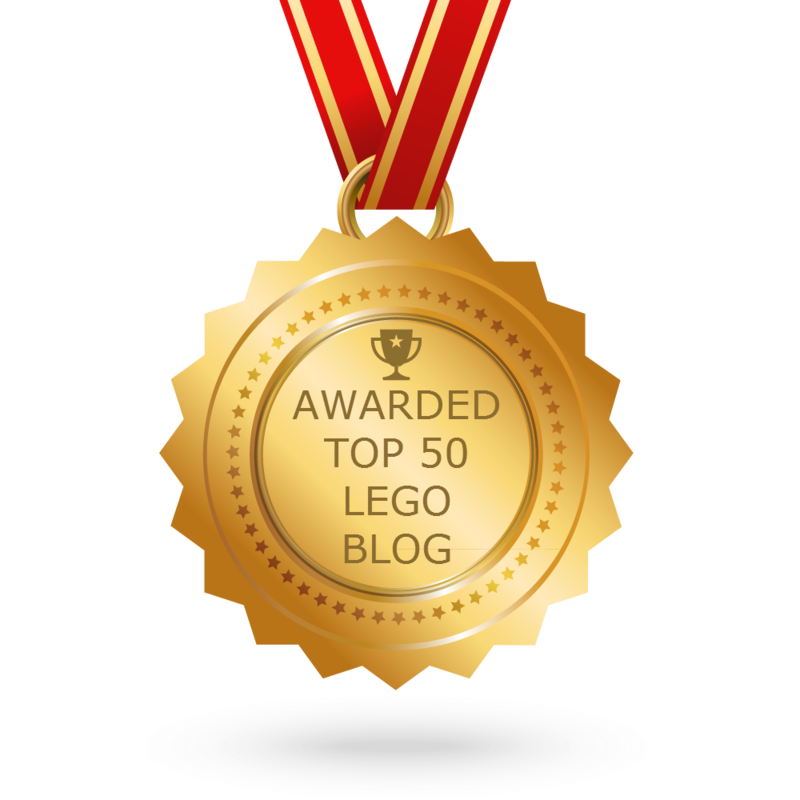 CONGRATULATIONS to every blogger that has made this Top Lego blogs list! This is the most comprehensive list of best Lego blogs on the internet and I’m honoured to have you as part of this! I personally give you a high-five and want to thank you for your contribution to this world.